A rattling sack indeed is something dangerous! In a plastic back there's an array of empty cans. If you pull this over an bumpy surface it makes loud, rattling noises which make many horses worried to dead. But of course they can be made used to this noise quickly. 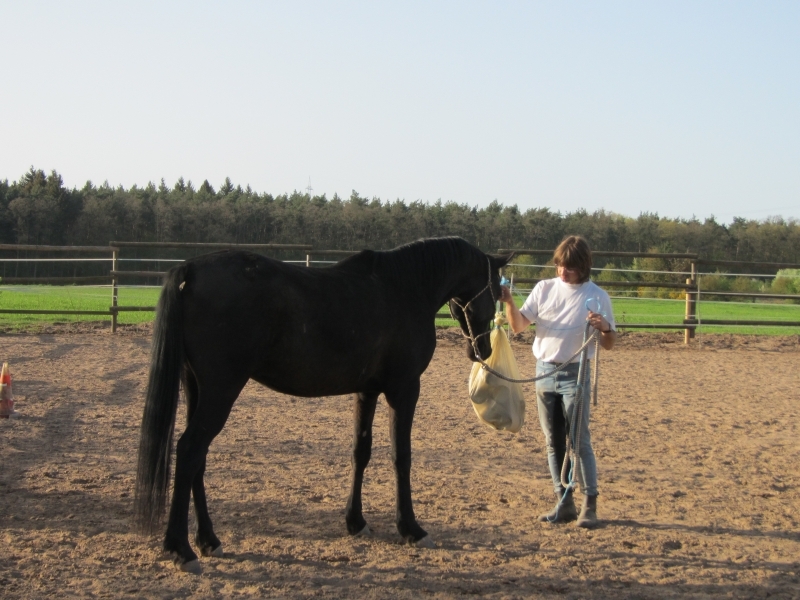 And thus such a sack poses no problem to our horses anymore. Well, what do I have there? Is it OK also if I lift this thing and then let it fall back on the ground? And may I run around you with this thing, so you cannot see what is rattling loudly behind you? The "usual" picture: The youngest joins in as well. 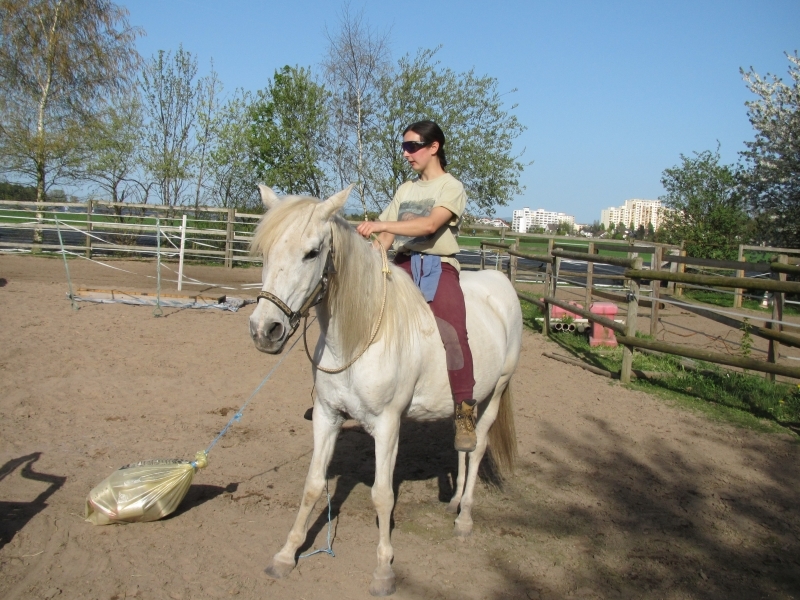 And when everything works from the ground, then naturally sometime it works from the saddle as well!